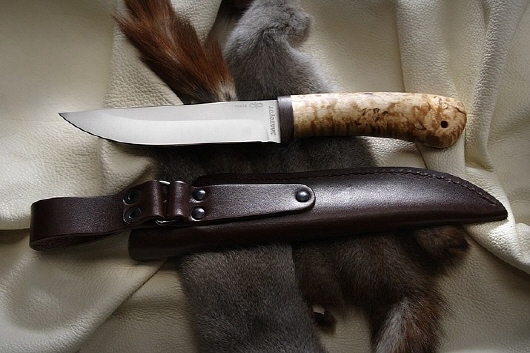 his hunting knife is equipped with a very delicate blade. and the brown micarta. The lovingly applied deep etching gives the knife character. 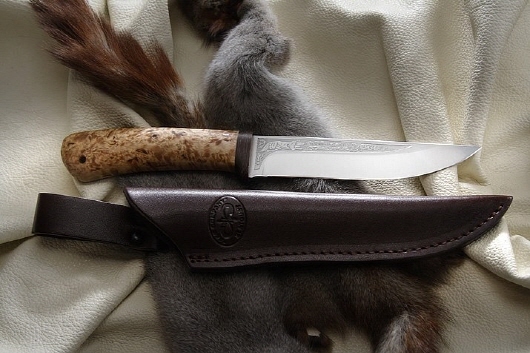 Sheath made of genuine leather. 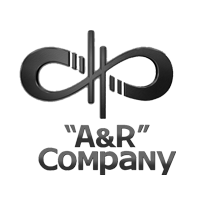 A&R Zlatoust is a Russian knife manufacturer. It is based in the city of Zlatoust, an industrial city that specialises in metallurgy. It is one of the centers of artistic engraving on metal and is best known in Russia, especially for its work on knives and swords. 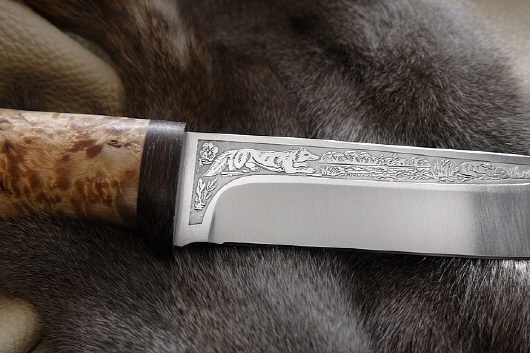 Today the tradition lives on in the knives produced by A & R Zlatoust, which has a general rule: the quality of the knives must be beyond reproach. 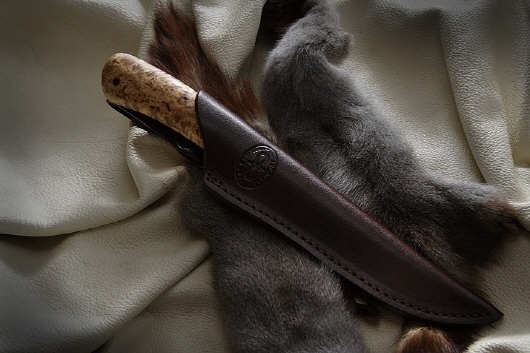 They produce knives for hunting and camping.